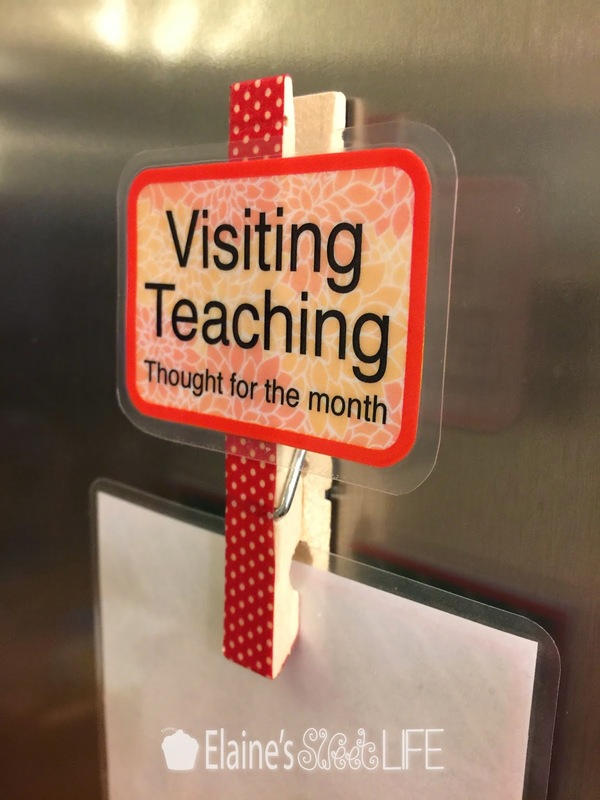 To go with my 'Though for the Month' handouts, that I make to go with my monthly Visiting Teaching messages, I have made fridge magnet pegs to display them. To make some of these for yourself and the Sisters you visit, download the pdf by clicking here or on the image below, then follow the instructions that follow. 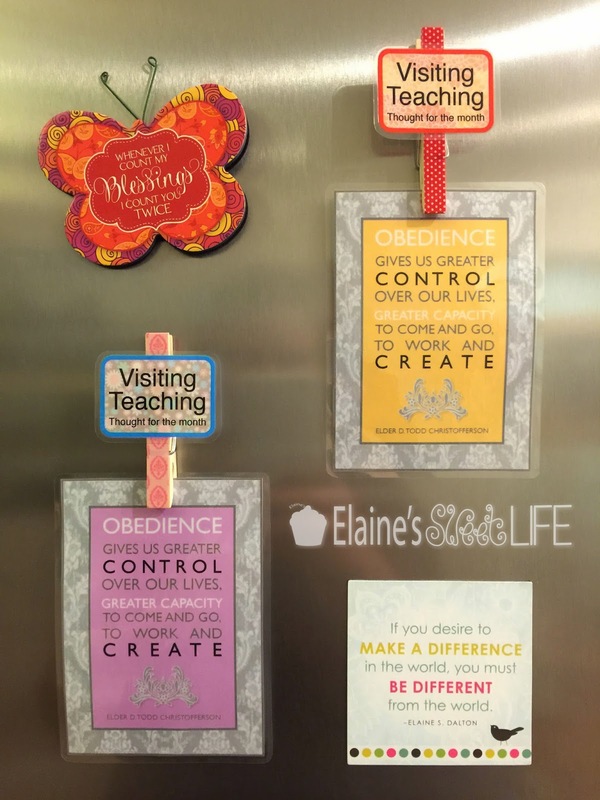 You will need: Print out of the pdf, laminator sheets, laminator, wooden clothes pegs, wash tape, magnetic strips, double sided tape, scissors. (Following photos above from top left, clockwise) Cut out each of the images, laminate them, then cut out neatly around the sealed edges. Stick wash tape along one side of each of the clothes pegs, allowing the tape to wrap around to the back to keep it neat. Cut a strip of magnet to size for each peg. Apply double sided tape to the uncovered side of the peg, then stick the magnet on to the peg. Apply double sided tape down the back of the laminated image and stick it on to the wash tape covered side of the peg. This is wonderful. Thank you so much for sharing your talents and time. What an excellent idea! We will be making these for one of our ward's Super Saturday crafts! Thank you so much for sharing! 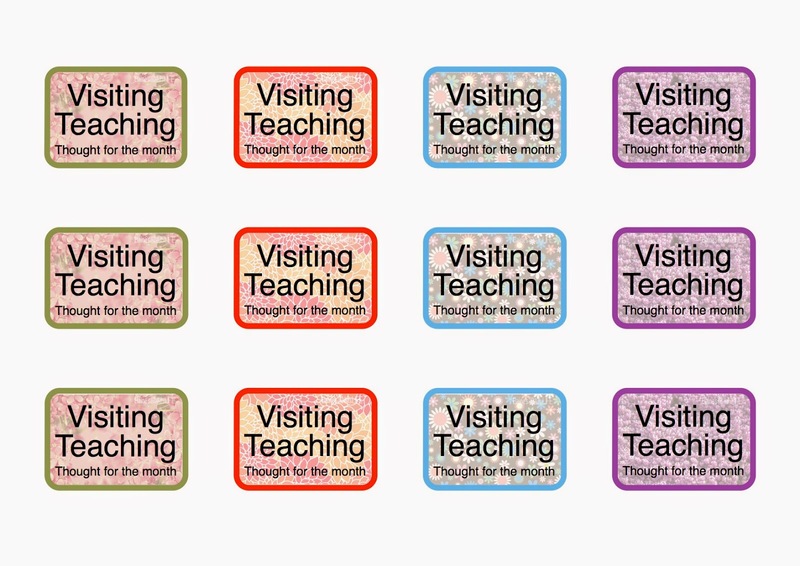 Me acabo de topar con este sitio al buscar los mensajes de maestras visitantes, me encanto el verlos en varios idiomas, muchas gracias por ello, ya que es muy dificil encontrar 'blogs' que lo hagan en espanol! Gracias por compartir sus talentos. Me acabo de topar con este sitio buscando el mensaje de maestras visitantes de este mes y me encanto esta idea, gracias por compartir sus talentos y traducir a varios idiomas el mensaje, ya que no hay muchos 'blogs' que lo hacen. absolutely love this idea!!! thank you so much for sharing!